Dymola is a physical modelling and simulation tool, used for model based design of complex systems. Dymola uses the Modelica modelling language to define models and provides the user with open access to the language. This means that you are free to create your own model libraries or extend from the existing Modelica libraries to accelerate development times, reduce maintenance efforts and improve the level of reuse across projects. A portfolio of multi-domain libraries covering the mechanical, electrical, control, thermal, pneumatic, hydraulic, powertrain, thermodynamics, vehicle dynamics, air-conditioning domains can be coupled together to form a single complete model of the system. Dymola is used by companies operating in many industries including automotive, aerospace, architecture, motorsport, energy and high tech. Dymola supports the FMI Standard for the import and export of models. It supports FMI 1.0 and 2.0 for both model exchange and co-simulation. In addition, Dymola supports real-time simulation on a wide range of HiL platforms. Dymola fully supports the Modelica modelling language which is an open standard developed by the Modelica Association. Modelica is an open source, component orientated, physical modelling language. Dymola supports the FMI standard for model exchange. It can import and export FMU’s that are compliant with FMI 1.0, FMI 2.0 and both model exchange and co-simulation aspects of the standard. 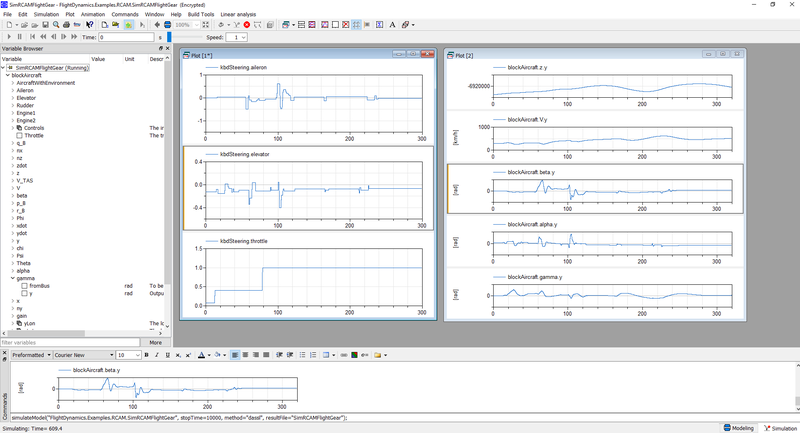 A Simulink Coder target is also provided to compile Simulink models into FMU’s. Modelica libraries contain objects that represent physical components such as valves, resistors, gears. 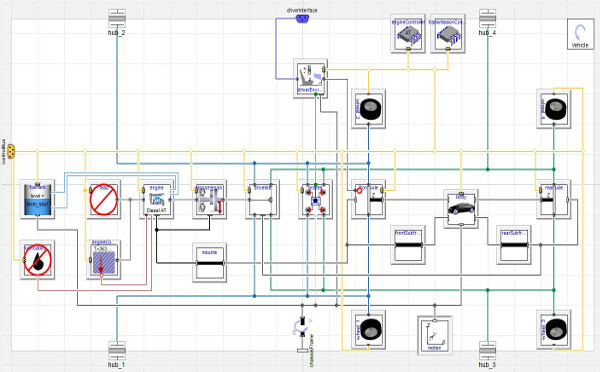 Models are created graphically by drag and drop to build a schematic of the system. An extensive range of Modelica application libraries are available covering many different engineering domains and industries. These libraries cover domains such as hydraulics and mechanics as well as applications like vehicle dynamics, engines and buildings. Dymola supports real-time simulation with many HiL platforms including dSpace, Concurrent, xPC and many others that support Simulink or FMI. 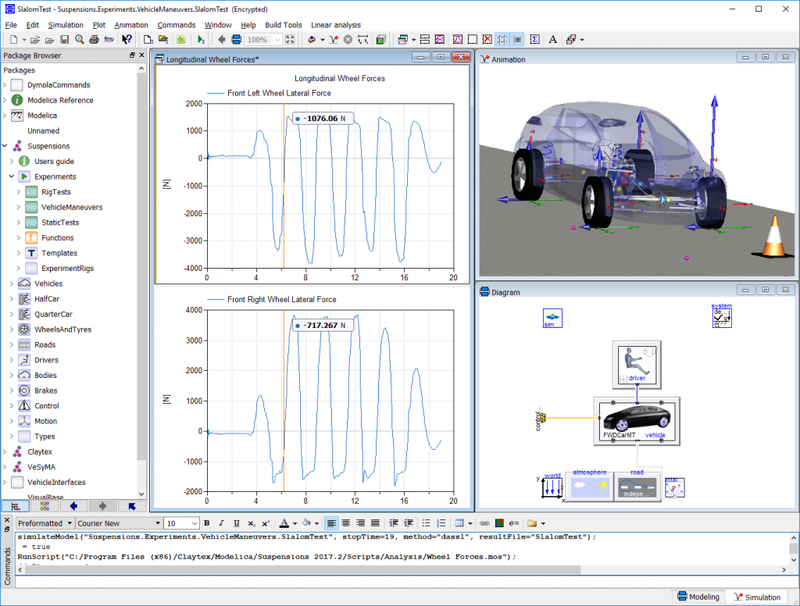 Complete MultiBody vehicle dynamics models can be run in real-time. Dymola uses symbolic manipulation to give it outstanding performance for solving differential algebraic equations (DAE). These routines also handle algebraic loops and reduced degrees-of-freedom caused by constraints. Dymola can export models to run as s-functions in Simulink making them fully compatible with HiL platforms supported by Simulink. The Dymola Optimisation option supports multiple parameter, multiple case optimisation studies to help explore the design space and optimise the performance. The source code generation option enables models to be exported as platform independent C code so that the model can be integrated with your own solvers and platforms. A demonstration version of Dymola is available for download. It gives you access to the core functionality of Dymola and the ability to build and simulate simple Modelica models but it doesn’t include access to any of the optional features or Modelica libraries. Full on-line documentation is available from within Dymola and contains a Getting Started guide and Reference Manuals. The demo version can be downloaded using the button below and completing the online form. Any questions or queries, or if you’d like to apply for an evaluation license, please get in touch.